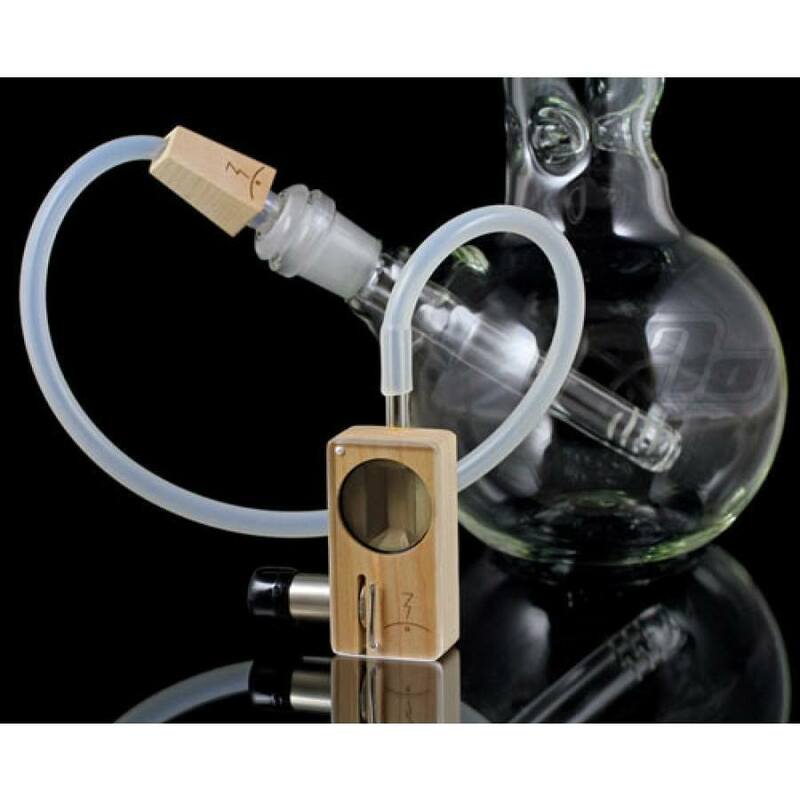 The newest addition to the Magic-Flight product family, the Water Pipe Whip adapter improves upon the original Water Pipe Adapter design, it allows you to connect your Magic Flight Launch Box to a 14mm water pipe through a custom whip attachment. An evolving design now allows for more flexibility and freedom in getting large tasty vapor hits. The components of the WPW are hand crafted to fit together snugly without the use of any adhesive, this makes it possible to disassemble the WPW for cleaning when necessary. The Water Pipe Whip comes with a Lifetime Functional Warranty. An 18mm fitter is also available for larger size downstems. I was having trouble getting the hits I wanted out of the magic flight vape. I picked up this little puppy and I'm now taking giant vape hits reminiscent of a much more expensive vaporizer! It takes a little time to get it right but the trick is to let the unit heat up a bit on its own and then inhale very slowly but consistently..5 stars great product!